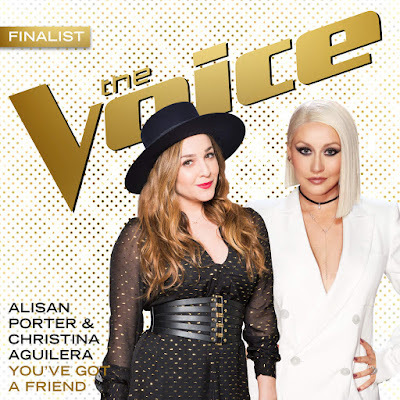 Christina Aguilera and Team Xtina finalist, Alisa Porter, share the stage tonight on The Voice: Finale as they perform a rendition of "You've Got A Friend" by: . The performance was nothing short of beautiful. Both women sate on down and they sang and look to each other for comfort and confirmation that they've made it to the end together. Even though they both wore black dresses they were able to light up the stage with the undeniable vocal talent. I'm so proud of the growth Alisan has made through out the competition. No one else I could see as the winner this season. If she doesn't win... I don't even know what I'll do.